We have a large assortment of typefaces (aka fonts) and are constantly adding more. Some of the most often used in our sets are shown below but more can be reviewed in our downloadable PDF below. Even more exist but may not be shown. If there is a specific one you are looking for, we encourage you to ask. 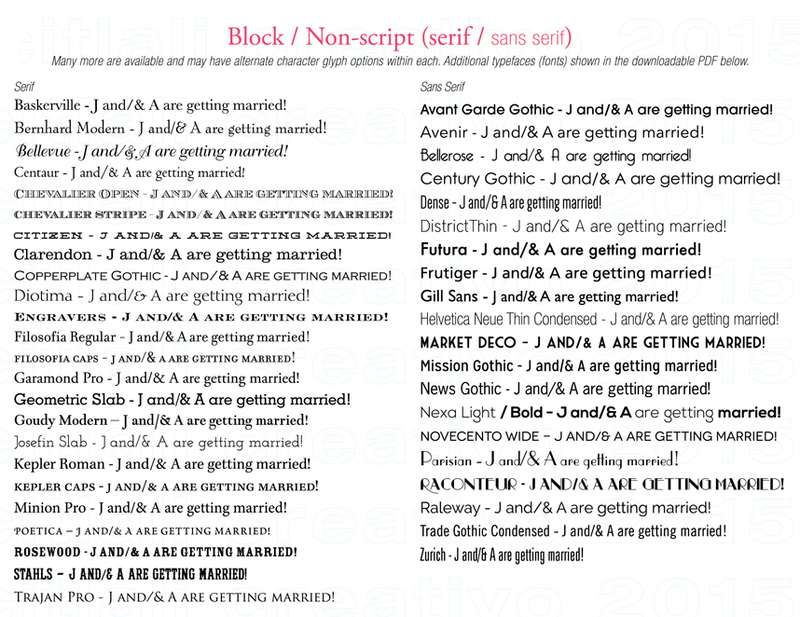 Separated by SCRIPT & NON-Script types - click each for larger image.